I have a confession to make, I have a new guilty pleasure - Once Upon A Time on ABC. To be honest I was a bit skeptical when I first heard about the show. I am very happy to say I was pleasantly surprised!! The show is well written and very respectful of the fairytales all of us hold so dear, as a matter of fact the scenes in the storybook world are Dakota's favorite. Once Upon a Time” stars Ginnifer Goodwin as Snow White/Mary Margaret, Jennifer Morrison as Emma Swan, Robert Carlyle as Rumplestiltskin/Mr. Gold, Lana Parrilla as Evil Queen/Regina, Jared Gilmore as Henry Mills, Josh Dallas as Prince Charming/David and Raphael Sbarge as Jiminy Cricket/Archie Hopper. If you are behind and need to catch up before the series resumes with new episodes on January 8, 2012 at 8:00E/7:00C you are in luck, ABC is celebrating the holidays with full episode streams. 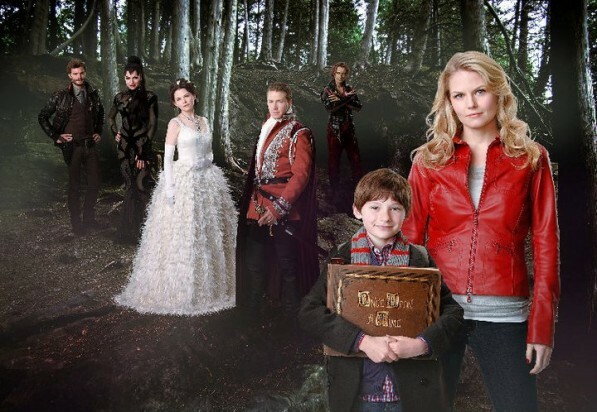 All full episodes of “Once Upon A Time” will be live at www.ABC.com/Once and on the ABC Player for iPad after the last new episode of this year on Dec. 11 and will be available until the primetime return on January 8, 2012 at 8:00 p.m. ET. I am obsessed with "Once Upon A Time" as well. I didn't know I would fall in love with it as much as I have. Every Sunday, I watch it live and DVR it so I can watch it over again to see any details I've missed. I'm eagerly awaiting for January 8th to get here so I can tune back in. I love this show too! It's one of the best new shows to come in a while and love the references to the Disney version of the fairy tales. I know! I can hardly wait for the the new episodes to start! !